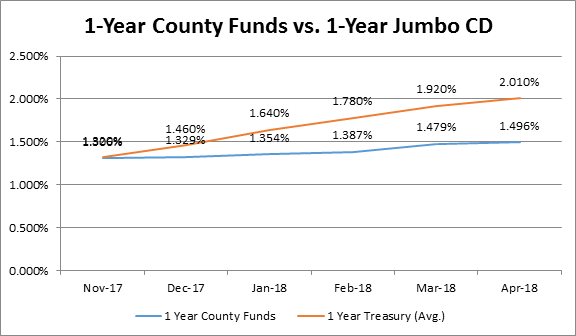 This report examines the performance of the public funds currently invested by the Will County Treasurer’s Office. This narrative covers investment activity and performance in April 2018. The county’s total holdings at the end of April had a market value of $317.4-million. Excluding cash, the Treasurer’s Office has invested $267.9-million (84.4%) across a variety of fixed income security types. 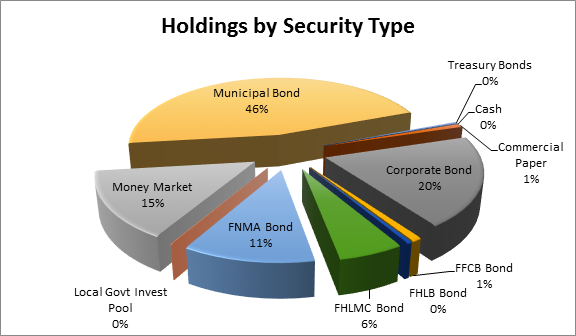 The total portfolio has a Yield-to-Maturity of 1.571% with an average maturity of 3.4 years. The county’s portfolio generated $2,510,181 in investment income during the first quarter of the fiscal year. It is a 3.7% increase over the previous quarter. 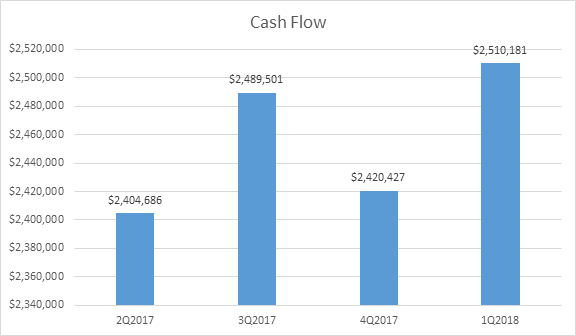 For the trailing 12 months, the Treasurer’s Office has generated $9.8-million in interest income. Treasurer’s Office policy is to have between 12% and 17% of the investment portfolio allocated to cash. This policy target allows us to cover unexpected expenditures that arise throughout the year. As of this report, we have $51.3-million in reserve cash holdings, or 16.1%. We anticipate little change over the next quarter as county departments have closed expenditures from FY2016. The Treasurer’s Office will collect and distribute approximately $1.87-billion in real estate property taxes this calendar year. As a taxing body itself, Will County receives a portion of the levy distribution. Our office invests $70-million of the county’s levy in order to have reserve cash during non-levy collection months between December and next May. We invest in high-quality commercial bonds, municipal bonds, US Treasuries, and negotiable certificates of deposit. 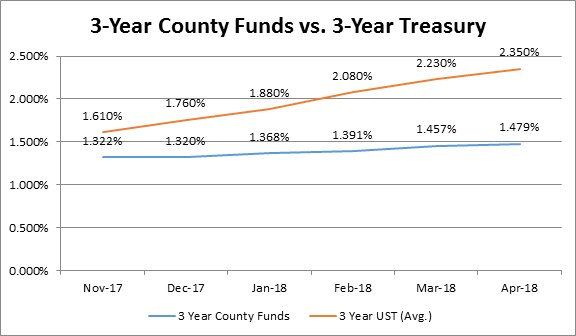 With attractive short-term interest rates forecast for the remainder of the year, we anticipate strong performance in our portfolio holdings against the 1 Year U.S. Treasury.